The interior of a car is a large part of what makes it unique. For some models, it can help them to stand out from their competitors, really putting them in the race when it comes to achieving luxury and comfort combined. It seems that nowadays manufacturers are going above and beyond to create bespoke car interiors that set them apart from their competitors, with some having as much grace and style as their bodywork. After all, brands are thriving to come up with ways to give customers a driving experience unlike any other and advanced technology and state-of-the-art equipment are just some of the features involved. To celebrate this in style, we have decided to compile a list of top 5 most luxurious car interiors on the market today. Audi are renowned for building classy cars that have a refined drive. One of the finest aspects of the Audi A8 is the fact that it’s not just the driver and front passenger that get to travel in style. Rear-seat passengers are also able to experience sheer comfort and sophistication with the use of the Executive Rear Seat Comfort package. This includes reclining passenger-side seats, a foot rest, seat ventilation, messaging functionality and a rear-seat DVD entertainment setup with dual 10-inch screens – a model that could certainly give some of its competitors a run for their money! The heated and leather-wrapped steering wheel is another talking point, while it further offers a full leather cabin including by four-zone automatic climate control and dual-pane acoustic glass. BMW are one of the most well-known car manufacturers in the world for building incredible driving machines. However, the interior is not something to be forgotten about. The M6 was manufactured with comfort in mind and therefore, seat performance was a key focal point in terms of its overall design. 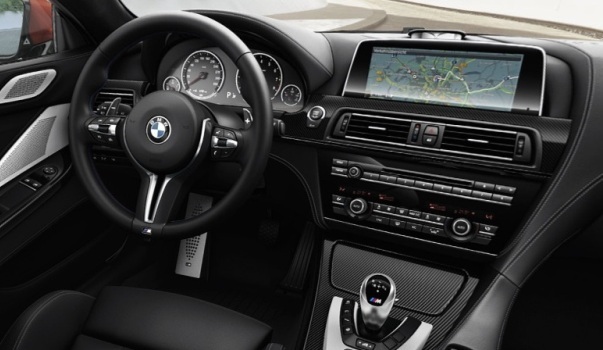 The leather seats featured in the vehicle offer a 20-way power adjustment, along with BMW’s Active Head Restraints and two memory settings. Ventilation is also a feature available in the M6 with Active front-seat technology playing a major role. This is a system that was designed to provide extra comfort for drives that may be longer than average. So, if your daily commute is a particularly lengthy one, driving in the BMW M6 will provide you with all the comfort and control you need. Luxury is on another level when it comes to the Bentley brand, and the Mulsanne Speed is without a doubt no exception to the rule. To begin with, the model offers a stunning supple leather interior in 24 colours that could make you the envy of your neighbour, as you are free to choose a shade that is just right for you. But, perhaps more interestingly is the fact that Bentley will even allow owners to select trees right off their own estates for use as cabin trim – a great feature if you want to really have a say in how your specific Bentley is moulded. It doesn’t stop there because with lambswool mats and a Relaxation Pack, you may never want to step out of the car. The Relaxation Pack includes matching leather throw pillows and dual rear-seat footrests for maximum comfort. Bentley don’t do things by half and this model is certainly proof of that. With premium seating in the Hyundai Equus, it’s clear to see why this model has made it onto the list. Not only does it include a heating and cooling function, it also adjusts the humidity of the seating surface for an all-round high quality vehicle. The steering wheel also offers real wood trim and can be heated as well, providing the driver with warmth when driving in cooler weather conditions. At the rear of the car you will find a dual-DVD entertainment system with 9.2-inch screens for the enjoyment of all second row passengers. There is additional heating and cooling features, a multi way seat-comfort adjustment and a control console for the climate system. Again, this allows passengers – as well as drivers – to travel comfortably no matter what the weather conditions. The Mercedes S-Class is one of the most technologically advanced saloon cars on the market right now. It comes with a large array of engines to choose from and is a wonderfully unique drive for all who experience it. However, its interior is one of the most stand-out parts of the vehicle and this is due to a number of reasons. Firstly, it is extremely spacious and is fitted with some of the most state-of-the-art equipment. The dashboard is sculptured with two large screens that give important information to the driver including parking assistance. Not to mention electronically adjustable seats that cater for every driver and passenger. When it comes to buying a car, one of the most important aspects to look at is the interior. It can really make or break your decision, so it’s crucial to explore every feature inside to make sure it’s a car that is going to cater for your needs. There are many more vehicles on the market when it comes to luxurious interiors, but we feel that these 5 are a good place to start. And you can find these cars and many more models by visiting The Tilsun Group. As one of the UK’s leading car lease companies, you will find a large selection of cars, vans, nippy city cars and family vehicles that all come with exquisite interiors. So, whatever your preference is and whatever interior features you are looking for, The Tilsun Group can certainly provide for all. Whether you are after a vehicle for personal use, or you require a fleet for your business, The Tilsun Group is the place to go to for deals that are excellent, reliable and great value for money. Browse their collection today and be one step closing to securing that perfect lease deal.